Red Cloud Photography Days delivers fun, creative, hands-on one or two day digital DSLR photography courses and workshops on numerous dates & locations as well as two hour Evening City Photo Tours (in 11 UK cities) a London Photography Tour and selected City Day Tours. We also have short 'how to' video tutorials to get you learning straight away. 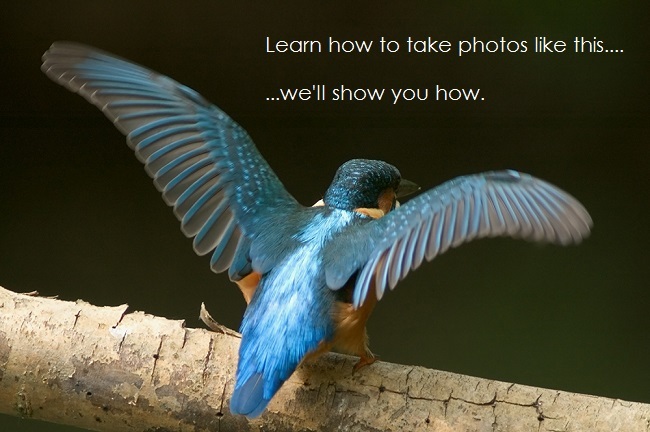 We want you to learn how to use your camera and take great shots. We cater to all photography skill sets and we ensure our photography courses, workshops & online tutorials are suitable and accessible to beginners, enthusiasts or experts looking to improve their confidence in digital photography and knowledge of Digital SLR cameras. We also offer bespoke one-to-one photography training within the vicinity of the major cities where we run our courses. Which photography course is right for you? 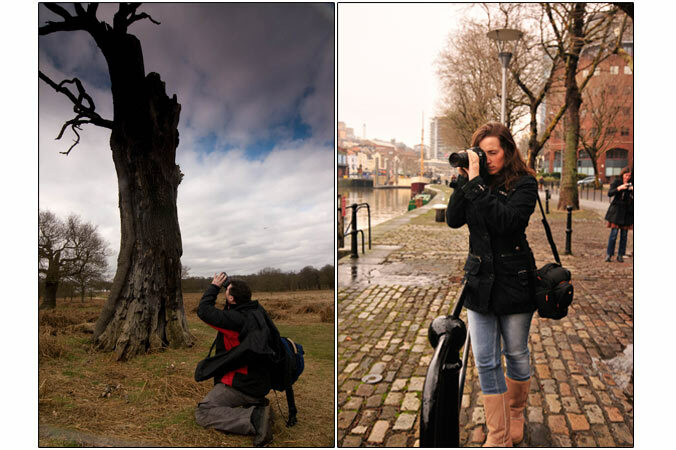 Well, below are a few examples of our photography workshops, for more detailed information; see our courses page. You may be one of those who has a DSLR camera but have relied for too long on it's automatic controls - there's so much you'll learn. 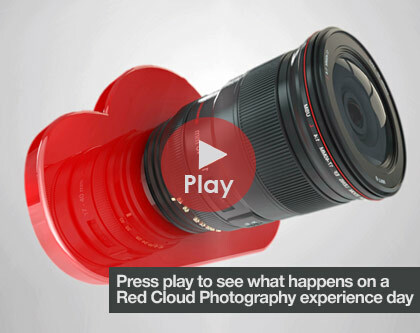 Even if you are using some of the manual controls on your camera but don't fully understand the principles - this is where the experts at Red Cloud can step in. This is a fantastic way to visit some of the most popular tourist attractions in London and actually learn how to photograph them. You will get to grips with your camera and develop the skills, techniques and tricks to take great photos long after the tour has finished. We'll give you the opportunity to learn and use all of our studio equipment to take photographs of working models. This is very hands on and we'll run you through everything you need to know about portraits, equipment and lighting. The great thing about our photography workshops is you'll be able to use the shots from the day in your portfolio. This is a ‘hands-on’, getting out and about, learning of all the essential tricks, tips and techniques that will enable you to take fantastic landscape pictures. You’ll learn about composing your shots correctly and unlocking the full potential of your camera. For a full list of all the workshops we offer please see our courses page. Red Cloud isn’t here to bore you with lectures or exams. We’re fully aware after attending all sorts of photography courses ourselves, and using the feedback given to us over a number of years we have been running, that you guys are here for one thing and one thing only. Photography knowledge! - Quick and fast without being lectured or bored! Red Cloud is really hands on and aims to cut out the complex terminology and fluff associated with normal photography classes and deliver interactive, fun digital photography courses and workshops. Want to know more about us? Want to see who your photographer teachers will be? Don’t have a digital SLR? Thinking of investing in a digital SLR camera but worried you won’t know how to use the functions or use it? No problem, We can help you choose which one to buy. No more excuses! You've already got the camera, now it’s time you knew what to do with it! Our workshops and classes make excellent gifts and are endorsed and sold through various experience / activity day websites, such as Last Minute, Virgin Experience Days and Activity Superstore. Don’t want to buy your camera workshop online? 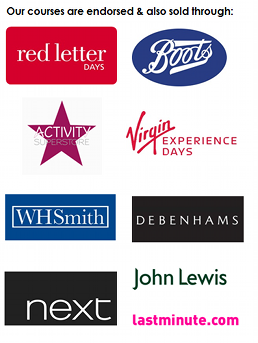 You'll also find us in Debenhams, WH Smith & Marks & Spencer as part of their 'Experience box' package. Or why not buy directly from us? So, you've got your camera. Now unlock your potential! A Red Cloud Gift Voucher can be redeemed against any of our photography courses at any time!